Sibutramine is one of the lesser known ingredients used in a range of slimming tablets. 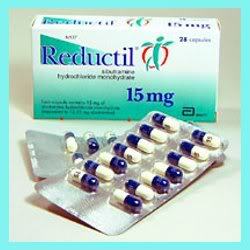 Possibly the best known product on the market that uses it as it’s main ingredient is Reductil. Sibutramine has been recently withdrawn from the market in many countries due to the negative side effects that it produces which include increased cardiovascular events and strokes. Legally it was only allowed in prescription medicines at a maximum level of 15mg however some of the illegal slimming products have been found to contain Sibutramine in dosages of almost double the legal limit. In Feb 2010 Simply Slim diet pills were removed from the market by order of the Medical Council of South Africa. Tests had revealed that the imported Simply Slim tablets contained as much as 27mg of Sibutramine, almost double the legal limit in a prescription pill. The ingredient was not declared and in all fairness the owners of Simply Slim probably did not even know that their Eastern Manufacturer was including the ingredient in the product. Simply Slim soon replaced their original tainted slimming pill with a locally produced herbal product. However one can not expect to achieve the same results with a herbal product as those that were achieved with a product containing almost twice the legal limit of Sibutramine. Many dieters were disappointed with the new Simply Slim Product. Simply Slim was not the only victim of Sibutramine laced products. In America many of these “Herbal” slimming product which originated from the Far East were also found to contain Sibutramine in levels far above the recommended dosage. These products were also recalled and as a result there has been a significant tightening of rules relating to herbal medications imported. In South Africa all imported “Herbal” or Complimentary medications now have to be first approved by the Medical Council prior to being allowed into the country in a step to reduce recurrences of such incidents which place the public in danger. Sibutramine is an oral anorexient which inhibits the re-uptake of the hormones seretonin and norepinephrine. What this basically means is that instead of producing a rush of Seretonin and norepinephrine, Sibutramine simply prevents these hormones from being reabsorbed resulting in higher levels of these hormones being available in the brain. Sibutramine works similar to Phentermine and produces the same effects (and side effects) as those which Phentermine do, only Phentermine causes a fresh release of these hormones whereas Sibutramine prevents the re-absorbtion resulting in increased levels of these hormones. Thanks for the information you have given on Sibutrex. Will rather try something else then. Is this product still for sale?